In July’s newsletter we share the announcement that our Chief Executive, Alan Clamp, is to step down in the autumn. This month, you can read about the new partnership we’ve sealed with HMRC to tackle incidents of tax fraud in the private security industry. In other SIA news, we have written a blog reflecting on our Manchester open day. For security businesses, we highlight the importance of cyber security and share guidance from GCHQ so you can stay ahead of any threats. We also remind you to nominate the women you work with for a ‘Women in Security’ award – deadline is Friday 10 August 2018. In our public protection section we are inviting security operatives and businesses in Scotland to register to attend the ACT counter-terrorism events we are hosting with Police Scotland. Read our enforcement update; our regional partnerships and interventions teams are on Twitter – follow them to find out about regional security news, campaigns and partnerships. You can also read about one of our recent prosecutions; a door supervisor prosecuted for fraud and working without a licence is jailed for two years. In our licensing matters section, our ‘Explaining the licensing process’ article is about how your criminal record can affect your licence application. Finally, as part of the review of the Approved Contractor Scheme, we have the details for our upcoming ACS events – you can register for the first few today. Alan Clamp, our CEO is to step down from the organisation in the autumn after more than three years at the helm. Alan will take on the role of CEO at the Professional Standards Authority from 1 November 2018. “I would like to thank them for this. Their commitment, together with the engagement and support of the private security industry, has enabled us to achieve our objectives and rise to the challenges and opportunities we have faced over the last three years”. “I am very proud of what the SIA has achieved and am confident that the great team of staff we have in place will continue to deliver our core objectives of raising standards and protecting the public as well as delivering high-quality regulation”. Dr Clamp joined the SIA in June 2015. He has overseen the introduction of our online licensing system and work to strengthen and review our ACS; championed an increased engagement with the industry; and put in place robust governance and assurance processes to ensure the smooth running of the organisation. “It has been a pleasure working with Alan as CEO of the SIA. On behalf of the Authority, the senior executive team and staff, I thank Alan for his commitment to the work of the SIA. We shall miss his calm and incisive leadership, but we are confident that the solid foundations he has laid will serve us well in the future. We wish him well in his new role. Our task now is to begin a recruitment process to identify a successor in time to ensure continuity and progress across all areas of our work”. Details of the recruitment process for the new SIA CEO are available on our website. Are you planning an event? 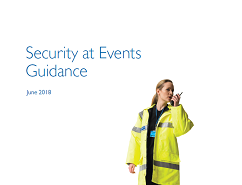 We have just produced a new version of ‘Security at Events’, our guidance booklet for event organisers. This can help you ensure that any security services that you buy in are complying with the law. Some or all of the security staff at your event may need an SIA licence. This booklet identifies the roles in your event that may require an SIA licence. There is also guidance on due diligence checks when buying security, and a resources section. Understanding what makes someone licensable is important, and will help you ensure you have the right person in the right role at the right time. This booklet is only intended as general guidance. Although it gives a helpful overview of the law, it can’t cover every circumstance. Event organisers should consider the implications of the Private Security Industry Act 2001 for particular events or premises, and seek appropriate independent legal advice. You can find the booklet on the ‘Events and SIA Licensing’ section of our website. We have sealed a new partnership with HMRC to tackle the incidence of tax fraud in the private security industry. Our organisations have been working together to identify problems in the sector, including businesses abusing employment rules, running up high debts and taking part in payroll company fraud. It is estimated that this could be costing the UK economy tens of millions of pounds – money that should be funding vital public services. The Memorandum of Understanding (MOU) will allow us to share information with HMRC about businesses and individuals working within the sector in order to clamp down on those taking part in illegal working practices and tax fraud. All data sharing will fully meet existing legal requirements. We regulate a wide range of activities within the private security industry including; Security Guarding, Door Supervision, Close Protection and Public Space Protection (CCTV). The estimated turnover of the regulated security industry is £3.8 billion. 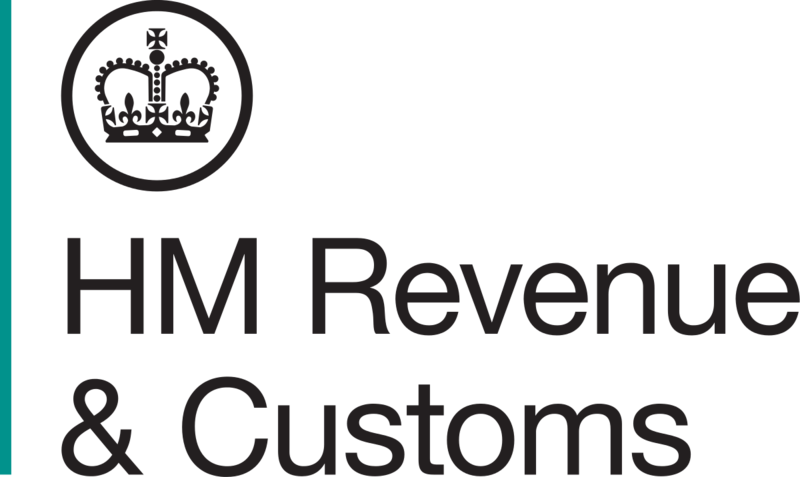 HMRC is the UK’s tax, payments and customs authority and collects the money that pays for the UK’s public services. In 2016/17, HMRC collected and protected £28.9 billion of tax that would otherwise have gone unpaid due to evasion and avoidance. The purpose of the MOU is to document the arrangements and obligations for the sharing of information between ourselves and Her Majesty’s Revenue and Customs (HMRC). In this month’s corporate blog, our stakeholder manager, Peter Selwyn-Smith reflects on the Manchester open day we held for businesses and individuals at the start of the month. 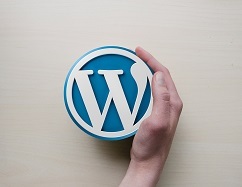 Read this month’s blog and we hope you comment and share your opinions. The threat of cyber-attack is ever-present, and to mitigate against this the government through the National Cyber Security Centre (NCSC) within GCHQ has established a set of minimum standards that will help protect your data, and that of your clients – Cyber Essentials Plus. The NCSC issued guidance last October named Cyber Security: Small Business Guidance. 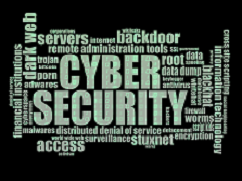 Any business that is planning to get Cyber Essentials Plus certification needs to be mindful that there are cost and time implications to achieve this accreditation. The cost of Cyber Essentials Plus is dependent on the size of the business and the accreditor that you use, the infrastructure, number of IP addresses, items on an inventory list and the complexity of your network. Visit Cyber Essentials Plus. 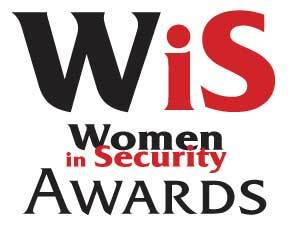 Nominate a woman who works in your organisation for a Women in Security award. Whether they are your CEO, chair, managing director of a security company; or a security professional working within the security department of a commercial company, public sector, private security industry or the wider world of security. The judges will consider how the nominee contributes to the wider security industry over and above her job specification. When submitting your nomination, please explain why, in your opinion, the person you are nominating should win the award. The judges (who include our Chair, Elizabeth France) are leaders in the security industry. Past judges have been from the Security Industry Authority, International Professional Security Association, the Association of Security Consultants, the Security Institute and more. The ‘Women in Security Awards’ were started in 2013 to celebrate and recognise the achievements, value and contributions of women within the private security industry. We support the Women in Security Awards: as a regulator, we are committed to equality and diversity within the private security industry. Nominations close on Friday 10 August 2018. 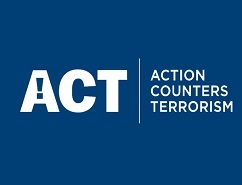 We are working in partnership with Police Scotland, and we invite you to participate in our upcoming ‘You Can ACT’ counter terrorism awareness sessions. The next two sessions are specifically aimed at front line security staff working within the Inverness or Dundee areas. Future events will take place across Scotland and, later, UK-wide. Greater awareness of counter-terrorism issues, including the current threat. An understanding of the important role you play in preventing terrorist attacks. Increased confidence in your own abilities. Shared knowledge of best practices and procedures. Refreshments will be served at 16:30 for a prompt 17:00 start. Each event is set to end at 20:00. If you or your colleagues would like to attend either event, please follow the link below and complete the registration form. You will need to complete a separate registration for each individual. Further details for all our upcoming events will be available on our website. The SIA licence is a trusted official document. The licence conveys the fact that the holder is trained and checked, and is considered a fit and proper person to engage in licensable activity. This is why we take reports of fraudulent licences very seriously. Operatives working on cloned, forged, or expired licences are rare, but our investigation teams do come across them from time to time. When caught, these fraudsters are invariably prosecuted. For example, please read the recent successful prosecution of Jack Clegg Walsh. As a result, SIA investigators and intelligence staff have been engaging with Operation Amberhill, the Metropolitan Police’s fraudulent documents unit. The enhanced security features on the new SIA licence, which was introduced in July 2016, were designed with the assistance of officers from Operation Amberhill. SIA investigators are now equipped with new scanning equipment, which they are using in the field to combat the use of cloned, forged, or otherwise fraudulent licences. Check the security features on the licence. There are currently two different versions of the SIA licence in circulation. The old version, with a visible chip and smaller photo, will no longer exist after July 2019. Access our leaflet, Guide to the new front line licence design. This explains the security features on both versions of the licence, and also shows the differences between them. Check names and licence numbers against the Register of Licence Holders on the SIA website. Create an online business account at the SIA’s website and register for the online licence checker tool. You will be able to create a watchlist for all staff that hold an SIA licence and will be able to check the validity of their licences. Require licence holders, particularly those who are not previously known to you, to evidence their identity by producing a driving licence or other legitimate photographic ID. With your help we can stamp out licence fraud, and maintain the status of the SIA licence as a badge of trusted professional competence. You can report licence fraud via our corporate website or anonymously by phone calling Crimestoppers on 0800 555 111. Please provide as much detail as possible. 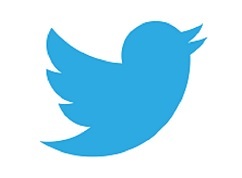 Our regional Partnerships and Interventions teams are on Twitter. Follow them as they will be tweeting about regional initiatives, events, prosecutions and sharing private security news and updates. These teams work with law enforcement partners, the private security industry and other stakeholders, across the UK, to identify and disrupt serious and organised crime associated with the industry, and intervene where there are threats to our reputation and the regulatory outcomes we look to achieve. They are responsible for enforcing the Private Security Industry Act (2001) and tackle non-compliance by conducting licence checks and operations, business audits and criminal investigation and prosecution for the most serious offences. On On 5 July, at Liverpool Crown Court, we successfully prosecuted Jack Clegg Walsh for working without an SIA licence. He was jailed for two years for providing fraudulent documents to obtain employment in the security industry, thus putting the public at risk. Clegg Walsh pleaded guilty to two counts of fraud and one of working as an unlicensed door supervisor. 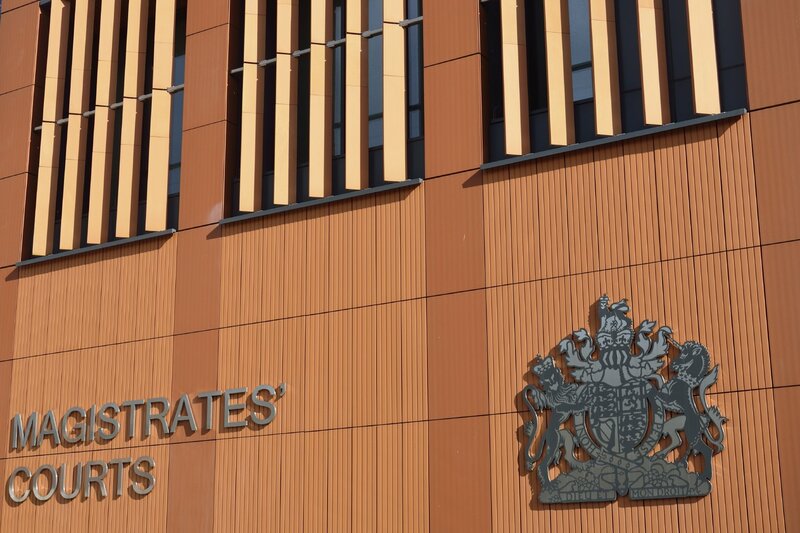 He was sentenced to two-years’ imprisonment for the most serious offence of adapting documents for use in fraud (reduced from three years, for an early guilty plea). He was also sentenced to 12 months imprisonment for the offence of making false representations and three months imprisonment for working as an unlicensed security operative. These sentences will be served concurrently. Clegg Walsh was working at The Running Horses pub in St Helens in November 2017. He ran away from our investigators while they were doing routine licensing checks with Merseyside Police and they later identified him as Jack Clegg Walsh, who was working for Elite Security (NW) Ltd.
"Jack Walsh intentionally misled his employers and broke the law by working without a licence. His behaviour also constitutes fraud and he is now having to face the serious consequences of his actions. This case should serve as a reminder to the industry that we will deal robustly with those who disregard the safeguards that regulation provides, and pursue any type of offending which affects our industry. Our investigators conducted enquiries which confirmed that Jack Clegg Walsh had been refused a licence on the grounds of previous criminality. Further investigation secured documents that were analysed by the National Document Fraud Unit, who concluded that the copy of the passport that Jack Clegg Walsh had presented to his employer was falsified. This was supported by witness evidence that showed that the employment document had also been counterfeited. Our investigators contacted the original licence holder, who supported us as a witness, confirming that he was the genuine holder of the door supervisor licence which Jack Clegg Walsh had claimed to be his. The genuine licence has since been replaced. This was a carefully thought-out fraud; sophisticated in the sense that you put a good deal of spadework into finding a donor identity and altering a relative’s licence and documents you were to use. There has been, as a result, some financial loss…the real concern here is public safety and the fact that through dishonest means, you took up regulated employment when you knew you would not be regarded as fit and proper to do so. When you apply for or renew an SIA licence we check your criminal record. We do this by submitting something called a ‘disclosure request’ to one of the UK‘s three disclosure bodies: Access NI (Northern Ireland), Disclosure Scotland and the Disclosure and Barring Service (DBS). Until now the results of DBS criminality checks have automatically been shared electronically with us. The EU General Data Protection Regulation (GDPR) now requires the DBS to strengthen the consents for individuals subjected to a criminality check, particularly those conducted by registered bodies such as the SIA. We need to change our system in order to comply with these requirements. That you consent to the DBS providing an electronic disclosure result directly to us. This result will indicate either that your certificate is blank (no criminal record), or that we should wait for your certificate (which means that it contains criminal record information). That you consent to the DBS providing a copy of your criminal record certificate directly to us (if you do consent, a copy of the certificate is automatically sent to you as well). If you don’t give your consent for us to receive both an electronic result AND a copy of your criminal record certificate directly from the DBS, you will need to complete a paper version of the DBS disclosure request form. This will delay your licence application, as we won’t be able to proceed until we receive the completed form back from you. The arrangements for Disclosure Scotland and Access NI, for those who are resident or have an address history in Scotland and Northern Ireland respectively, remain the same. As the regulator, it is our role to determine whether you meet the required criteria and if you do not we will refuse your application. Offences such as assault or grievous bodily harm (GBH) may indicate a pattern of violent behaviour. This would make you unsuitable for a role in the private security industry, which can involve confrontation with members of the public. Offences such as fraud or burglary may indicate a pattern of dishonesty. This would make you unsuitable for a role in the private security industry, many of which require high levels of trust. Recent offences are more likely to result in us refusing you a licence because they may indicate a new pattern of behaviour. We can’t know for sure, so we will set a period of time in which your record will need to remain free of further offences before we can consider granting you a licence. How long that period of time must be will depend on the type of offence and the severity of the sentence. So, a single offence on your record from a long time ago probably won't stop us from granting you a licence (depending on what that offence is, of course). Recent offences and/or multiple offences across a number of years probably will. 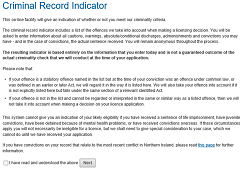 Our criminal record indicator provides a 'no cost' way of determining whether or not you will pass our criminality criteria. The logic of the indicator mirrors that which is used by members of our licensing team when they make their decision.